In this unique film, viewers are given a guided tour of the town of Assisi by Saint Francis himself. St. Francis's "narration" is spoken by the well-known Italian actor Flavio Bucci. The tour visits all the sites in Assisi that played a significant role in the life of the famous saint. Assisi's artistic and cultural heritage are also explored, including footage of its winding medieval streets, its squares, and its festivals. A powerful, historical drama set in the early 16th century. When Pope Julius II (Rex Harrison) commissions Michelangelo (Charlton Heston) to paint the ceiling of the Sistine Chapel, the project becomes a battle of wills fueled by artistic and temperamental differences. A rich and moving dramatization. A powerful, historical drama set in the early 16th century. When Pope Julius II (Rex Harrison) commissions Michelangelo (Charlton Heston) to paint the ceiling of the Sistine Chapel, the project becomes a battle of wills fueled by artistic and temperamental differences. A rich and moving dramatization. Widescreen Edition. Pope John Paul II is a poet, playwright, actor, mystic, philosopher, and pope. shaped by the terrors of World War II and the subsequent brutalities of the Communist era in Poland, Karol Wojtyla became one of the world's great defenders of religious freedom and human rights. Filmed on location in Krakow and Rome, this richly-textured documentary traces the personal life and struggles of the first non-Italian pope in more than 450 years. Based on the book Witness to Hope by George Weigel, this film is the most complete and intimate film ever made on Pope John Paul II. For the first time an exclusive visit behind Vatican walls records the history, traditions and daily life of the smallest army in the world, the Swiss Guard, whose duty is to defend the Holy Father at any cost, giving their own lives if necessary. The film captures the highlights of a typical year, including their ceremonial duties as well as some more intimate moments. Here is their story through the lives of its members, offering a window on the Vatican not seen before. Tony Melþndez may have been born without arms, but that hasn't stopped him from enjoying life to the fullest. Tony was born with this birth defect in 1962 as a result of his mother's taking the prescription drug, Thalidomide. A beautiful, touching drama based on the book by Paul Gallico about Pepino, a young Italian boy in Assisi who travels to Rome to ask the Pope's permission to let him take his dying donkey to the tomb of St. Francis to pray for a miraculous cure. Shot on sight in Assisi and Rome. Stars Vittorio De Sica. British film star Diana Rigg gives a moving performance as a sophisticated London businesswoman who, after losing her husband and daughter in a tragic accident, leaves the world and becomes a Benedictine nun at Brede Abbey. This acclaimed film captures the beauty and essence of religious life in a monastery as we watch how a successful person of the world is transformed into a devoted cloistered sister. Francis was born in the late 12th Century, the son of a rich merchant. He was raised as a young Assisian nobleman, but grew dissatisfied with his life, and in his twenties he publicly renounced his father's wealth and turned to prayer and service to the poor. Francis began to live as a hermit and preached the necessity of a poor, simple lifestyle based on the ideals of the Gospels. Later in life he received the Stigmata, and composed his famoous poem, the Canticle of Brother Sun. He died on October 3 1226 and was canonized in 1228 by Pope Gregory IX. The tour visits all the sites in Assisi that played a significant role in the life of Saint Francis. You're probably familiar with many of the sites and attractions found in such sacred locations as Israel, Egypt, Greece and Rome. But only an aeiral view puts these lands into perspective. And now you can enjoy that heavenly perspective in a presentation that is at once relaxing and inspiring. "Over Holy Ground" puts you in the skies above the Holy Land and beyond, giving you a bird's-eye view of such significant sites as the Temple Mount in Jerusalem, the Pyramids of Egypt, St. Peter's Basilica in Rome and many, many more. All complemented by relevant passages of Scripture and backed by a moving musical score. "Over Holy Ground" takes inspirational filmmaking to new heights! From the producers of The Footprints of God series. This imaginative new series on lives of the saints offers compelling stories of some of history's greatest heroes. Your host takes you through a heavenly art gallery where saints come alive through beautiful classical art and exciting stories. Suitable for study and enjoyment by all ages and audiences. Volume IV features the lives and deeds of people whose names have become synonymous with virtue, holiness and compassion, including St. Peter, St. Clare of Assisi, St. Thomas Aquinas, St. Catherine of Siena, and St. Paul. This imaginative new series on lives of the saints offers compelling stories of some of history's greatest heroes. Your host takes you through a heavenly art gallery where saints come alive through beautiful classical art and exciting stories. Suitable for study and enjoyment by all ages and audiences. Bolume II: The authentic stories of great saints who founded religious orders. Features St. Ignatius Loyola, St. Francis of Assisi, St. Angele Merici, St. Benedict, St. Eugene de Mazenod. A full-length dramatic film on the life of Pope John Paul II. Albert Finney stars as the Pope in this film that begins in his youth and covers his love for the theater, devotion to his father, and Poland's sufferings during World War II and after. 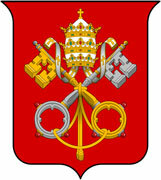 Also treated are his ordination, rise to the episcopacy, his influence on the Polish church, and his election as Pope. Stories about Purgatory & What They Reveal Stories about Purgatory & What They Reveal. This book was written to engrave on the minds and hearts of its readers an indelible understanding about Purgatory first, that it exists; second, that the souls detained there suffer long and excruciating pains, just like those of Hell, and thus that they desperately need our prayers, suffrages and Mass intentions; and finally, that while we are still living, we ourselves should strive mightily to avoid Purgatory. This book will confirm in the reader's heart a healthy and holy respect for the sufferings endured by the Holy Souls, such that he will ever after always remember them in his prayers and Masses and will strive to rectify his own life, that he may avoid Purgatory altogether, or at the very worst, spend very little time there and soon be united to God. The Father of the Little Flower The Father of the Little Flower. Louis Martin was the pattern of Fatherhood on which St. Therese built her now famous "Little Way of Spiritual Childhood." Louis was declared Venerableby the Church in 1994, along with his wife Z¹lie, because of his "Heroic Virtue." What kind of a father was he? These reminiscences describe Louis Martin's marriage at age 34, his love and support for Z¹lie, his firm discipline yet tender affection for his children, his piety, observance of Sunday, business practices, selfless conduct, generosity to the poor, etc. Celine gives particular attention to the sufferings of her father's old age, foreseen in a vision by Therese, which included a period of time spent in a mental institution. She describes his beautiful death, as well as a sign received by Therese indicating that their father's soul had gone straight to Heaven. Letters written by Louis gives additional insights into his character. Louis Martin's daughters considered themselves highly blessed to have had so good a father. The Mother of the Little Flower The Mother of the Little Flower. Was St. Therese's mother herself a saint? Celine Martin and her husband Louis were declared Venerableby the Church in 1994 for their "Heroic Virtue," and the couple's cause is now progressing toward Beatification. She married at 27, bore 9 children, ran a home business and did a superb job of raising 5 daughters including "the greatest saint of modern times." (st. Pius X). She died of breast cancer at 45, but her greatness was recognized by her family and her friends, and is now known to the world. She suffered many of the ordinary burdens of life, yet she was happy, loved her children "madly" and enjoyed them immensely. This book was written by her daughter Celine, who had access to Zelie's letters and to the reminiscences of her older sisters in the Carmel of Lisieux. It is authentic and inspiring, showing what a tremendous life's work and accomplishment it is to be a truly Catholic mother. Looking at Z¹lie's picture, one can see her incredible character, integrity, goodness, constancy and love. The Mother and Father of the Little Flower Set The Mother and Father of the Little Flower Set. 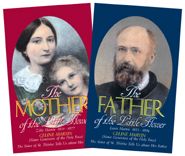 Get both books about the parents of St. Therese the Little Flower -- and save 33% off the normal Price! See below for a list of individual items in The Mother and Father of the Little Flower Set. Mary Magdalen in the Visions of Anne Catherine Emmerich Mary Magdalen in the Visions of Anne Catherine Emmerich. The visions of Blessed Anne Catherine Emmerich are the world's greatest source of detail on the life of St. Mary Magdalen great sinner, great penitent, and the second most prominent woman in the Gospels. Fully referenced to The Life of Jesus Christ (their source), these pages agree completely with Sacred Scripture, but also tell of Mary Magdalen's sinful life from age 9, her extravagant attire, her second repentence after falling back into sin, her exorcism by Our Lord, His defense of her against the self-righteous, her relationship with Martha and Lazarus, her external appearance, her role at Calvary and much more. How to Converse Familiarly with God How to Converse Familiarly with God. Just as the title indicates, this famous booklet of St. Alphonsus Liguori teaches us how to speak personally and with confidence in prayer to God, who, the Saint says, will not "speak" to us unless we first speak to Him. Covers every aspect of our personal relationship with God. St. Paul says of Our Lord, "In whom we have boldness and access with confidence by the faith of him." ( Ephesians 3:12). Thus, we can approach God as His friends, with confidence and boldness yes, we spiritual pygmies are to approach with boldness the Almighty and Infinite God! But that is how God wants us to be familiar, confident, bold and constant!